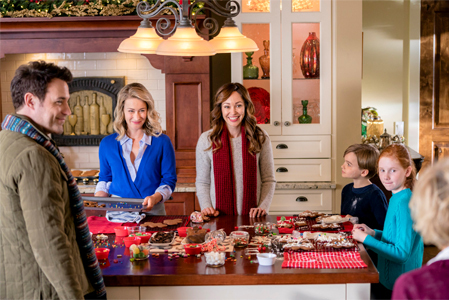 Its a Wonderful Movie - Your Guide to Family and Christmas Movies on TV: A Bramble House Christmas - a Hallmark Movies & Mysteries Original Christmas Movie starring Autumn Reeser, David Haydn-Jones, & Teryl Rothery! 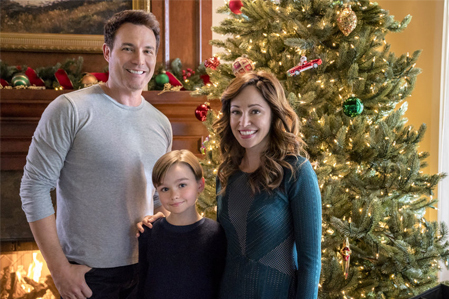 A Bramble House Christmas - a Hallmark Movies & Mysteries Original Christmas Movie starring Autumn Reeser, David Haydn-Jones, & Teryl Rothery! *Based on the book, A Bramble House Christmas, by C.J. Carmichael. 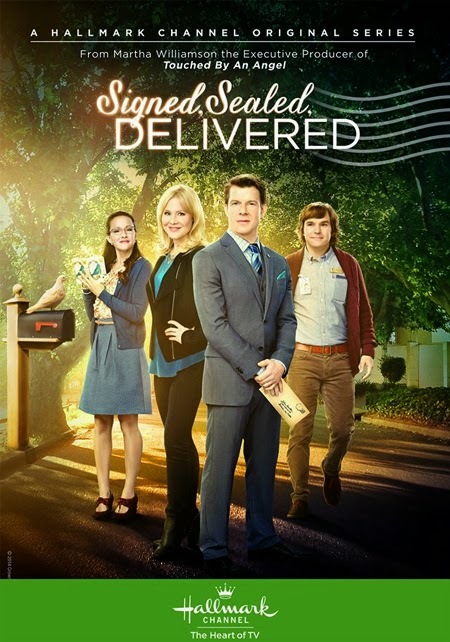 Storyline via Hallmark: While settling his father’s estate, Finn Conrad becomes suspicious as to why the man left a nurse $50,000. His dad knew her for less than two months before he died. 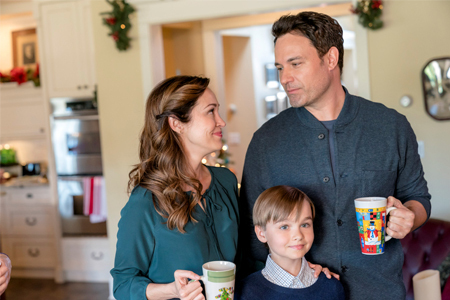 Just before Christmas, Finn wants what to reclaim what he considers his family’s money, going undercover to investigate the bed and breakfast the nurse has recently taken over. When Finn meets Willa, he discovers she’s not a conniving gold digger at all, but a woman in need who put the money to good use. 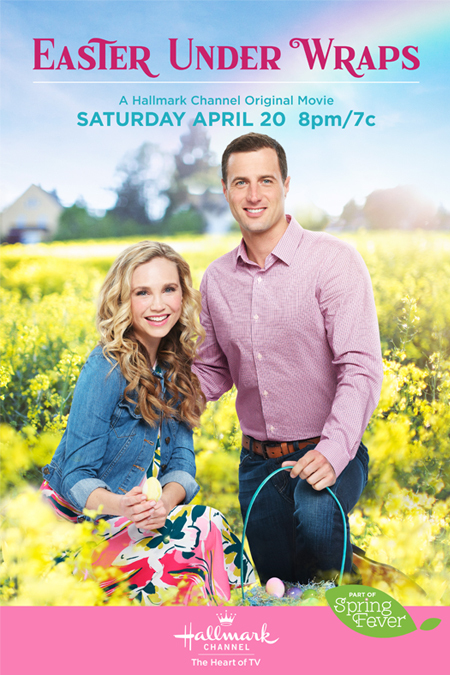 When she discovers his true identity, will it keep Willa from ever trusting him again? I love the little boy in this. He was so adorable in WCTH this past season. When he was sad, I wanted to crawl thru the TV and give him a big hug. 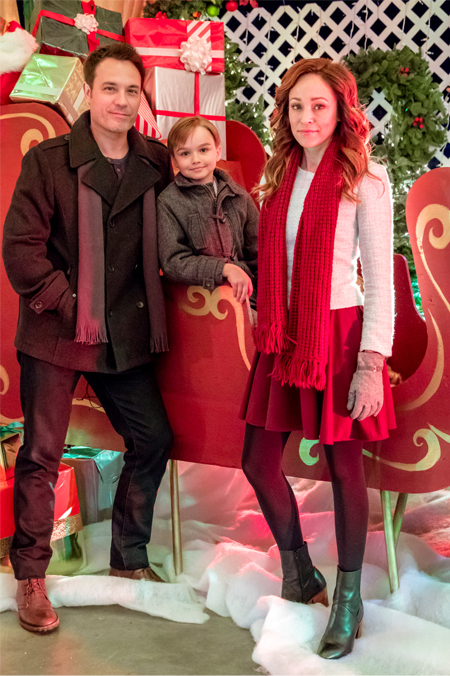 Autumn, David, and he look like a family. this should be a good movie. Awe, that is so sweet, Sabrina! That new teacher was so mean to all the schoolchildren on When Calls the Heart, I felt exactly the same way, especially when he kept breaking Emily's pencil. Horrible. Unfortunately, too many of us have had mean teachers like that. 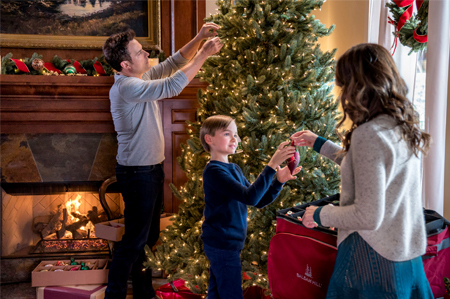 On a bright note, I agree, he does look adorable in this Christmas movie! 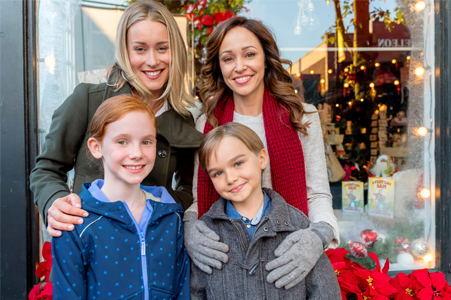 It is definitely one to look forward to seeing, especially having Autumn Reeser in it, as well! I just loved all the pictures for it! 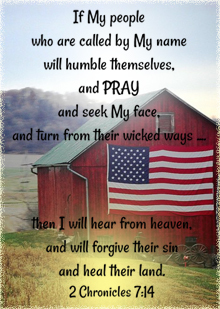 Thank you for sharing, Sabrina! 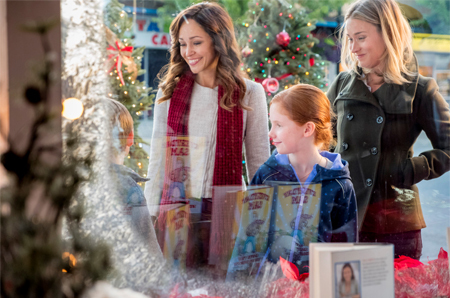 So excited Autumn is back in Hallmark! She was so great in Valentine Ever After and i can't wait for this movie! 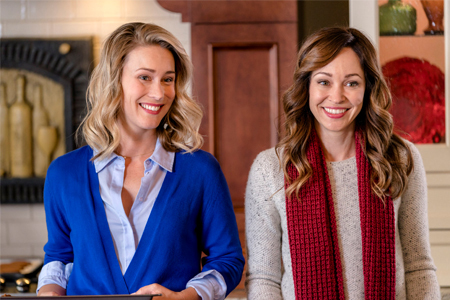 Yes, Autumn Reeser is so great in that, CH! 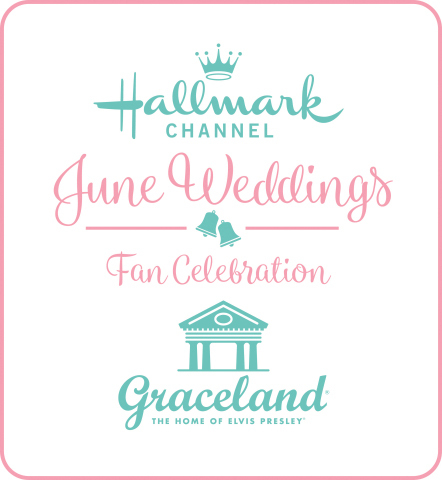 Plus, "Love at the Thanksgiving Day Parade" and "A Country Wedding"!!! 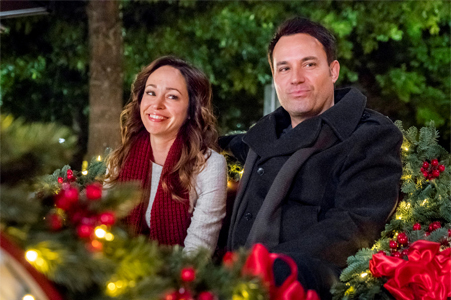 I'm most excited to see her during the holidays on Hallmark again!!! Oooh...Net, I love gazebos; all shapes, sizes and colors. I especially love the Christmas one depicted above...so beautiful. Glad to see Autumn back and paired with David!! Can't wait to watch!! Have already read the book by the wonderful CJ Carmichael!! Does anyone know the song played at the end of the movie? The lyrics include, "Christmas snow falls on our cold toes and our love grows and this is home..."
It's sung by a female singer. I'm searching for that one, too. It's really good. Sadly I haven't found it yet. It ended up being production music. It is not downloadable without registration approval. Oh my goodness, thank you so much!!!! I'd have never found it! You have crazy awesome searching skills! There was another song in that movie as well. By any chance do you know what it's titled? Michael, can you be a little more vague. At what time frame and what is the scene? I will add more when I get home. 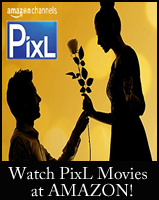 I have the movie saved on my DirecTV DVR so I will get you an approx. time frame and some lyrics. Richard, I saved to my DVR from DirecTV. It's at 1:23 and it's when Willa and Mable are sitting down eating cake. Some of the lyrics are: if you are a melody. This would be the one I write. Find the perfect harmony and bring it all to life. That's all they have in the movie. I don't know how you do it, but your querying skills are awesome!!!! I love this song too! I tried to “Shazam”it. 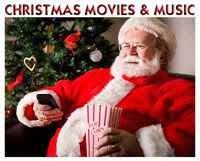 I really would love for them to release it on CD of romantic songs from Hall ark Christmas movies! Bramble House was just lovely! Wonderful and touching storyline. Autumn and David were just fantastic. The little boy was adorable. This movie was just spot on and worth watching again and again. Love it! 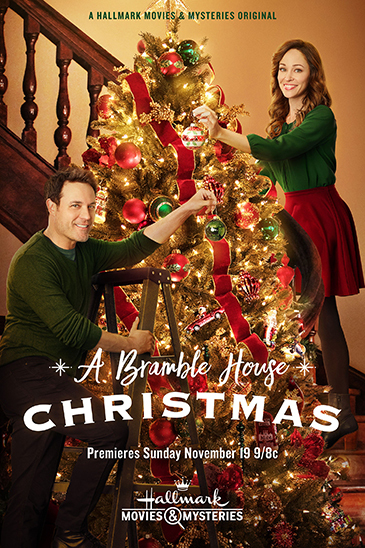 A Bramble House Christmas is a tearjerker movie. 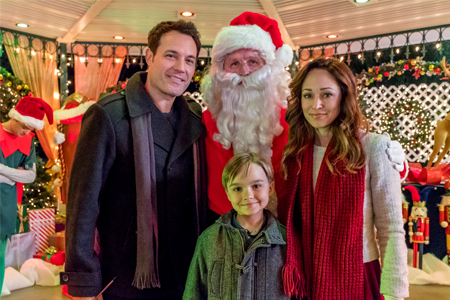 I hope to see Autumn Reeser & David Haydn-Jones together again in the future Hallmark TV movies. I'm watching this movie again. This is what Christmas is about really so important!!! Perhaps I was expecting too much but this was the most disappointing Christmas movie date. Agree. Worst one this year. Horrible acting. But I think it was probably the script. This is the movie I was anticipating the most this year, and I was not disappointed. In fact, it even exceeded my high expectations. 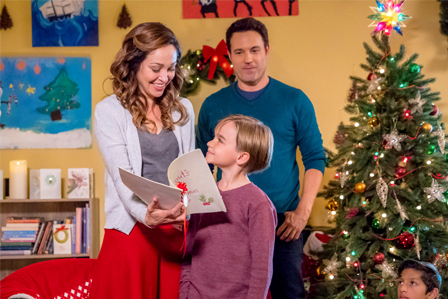 As I thought, Autumn Reeser & David Haydn-Jones make a splendid pair, and the story was just beautiful. Wonderful, wonderful movie! 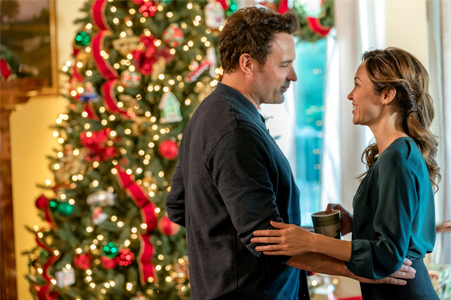 Does anyone know who sang "Have Yourself a Merry Little Christmas" halfway through the film? I wondered the same thing so I checked the movie credits and it was Martina McBride. Beautiful rendition! I love Martina's rendition of Have Yourself a merry little Christmas, as well as Leann Rimes rendition. Can anyone find online the last song sung in the movie, as the camera pans to the portrait of Greg Conrad as a child at Bramble House? I liked it a lot. Thanks! 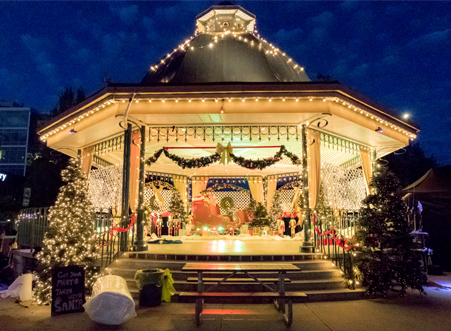 Who sings "Have Yourself a Merry Little Christmas" on the soundtrack? I noticed that too, RG. Some of the encore showings that were previously listed for "The Thanksgiving House," have been removed. Wednesday November 14 11:00 AM EST. Wednesday November 21 9:00 AM EST. Hope you can catch one of them!